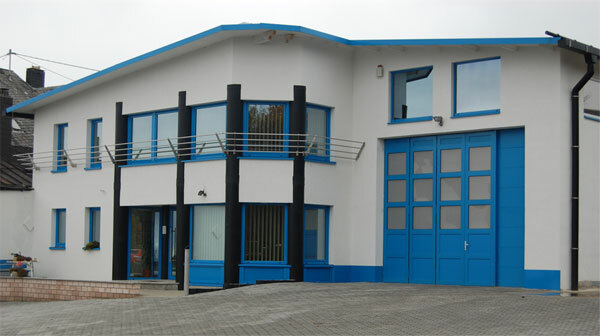 REKU GmbH in Rennerod is a company specialized in plastic treatment. We offer and realize competent solutions and develop new products. Our successful operation is based on a continuous quality-management and the spirit of innovation of our committed employees. We stand for qualified planning and the construction of process-engineering plants and plant components made of thermoplastics, compound materials and stainless steel. Our employees are welding certificated in according with DVS and DVGW. The company is specialized in according with §19I WHG, since 2008 extended for flammable liquids according to TRbF. Admission permit for radiation areas in according with the Stuktur- und Genehmigingsdirection Nord. Admission permit for installations and maintenance of fire protection valves and smoke evacuation systems. DVS-examined welders for plastics, steel and stainless steel HS, WZ, WE, IR, WNF, WIG. Our company is a member of the DWA Landesverband Hessen/Rheinland-Pfalz/Saarland. Our company is a member of the Bundesverband of middle-class industry.